Approximately 50% of the eminent domain cases handled by Ryan & Ryan on behalf of private property owners in Illinois involve land acquisitions by the government, including the Illinois Department of Transportation ("IDOT") and the Illinois State Toll Highway Authority ("ISTHA"), for the construction of new roads and expressways, as well as restructuring and widening existing roads and expressways. 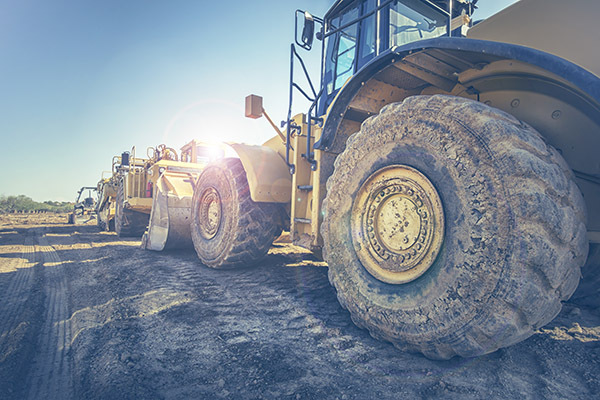 Ryan & Ryan has represented clients in major road projects in Illinois. For example, Ryan & Ryan represented numerous property owners involved in the I-355 Tollway project in DuPage and Will Counties; the widening of Route 22 in Lake County; Lake Street, York Road, Elmhurst Road, and Rohlwing Road in DuPage County; Route 59 in Will and DuPage Counties; 159th Street and 135th Street in Will and Cook Counties; Route 45/LaGrange Road in Cook County; and Route 31, Route 47 and Route 14 in McHenry County. These cases many times involve a wide range of issues including valuations for partial strip takings, valuations for the acquisition of temporary construction easements, and the negative effect such takings have on the remainder of the property. The lawyers at Ryan & Ryan have handled partial takings on behalf of property owners involving damage to the remainder due to loss of parking, loss of driveways, loss of landscaping, loss of access, loss of tenants, change in elevation, change in shape, change in highest and best use, reconstruction required by the taking, and decreases in the value of the remaining property because the taking caused the remaining property to become non-conforming under local municipal or county ordinances. Ryan & Ryan currently represent more than 35 parcels being acquired through the power of eminent domain or by threat of condemnation for the Elgin O’Hare Expressway / Western Bypass project and represented 135 parcels condemned for the expansion of O’Hare Airport by the City of Chicago through use of the eminent domain power. Since 1980, the attorneys of Ryan & Ryan have acted as municipal counsel for the Village of Rosemont in all real estate transactions. This experience has familiarized the Ryan & Ryan attorneys with the real estate values in the O'Hare Market. Ryan & Ryan has successfully completed the closing of 12 parcels for the Elgin O’Hare Expressway / Western Bypass project for a total of $33,500,000. These parcels and the just compensation awards obtained for our clients have given Ryan & Ryan insight and experience in analyzing the Tollway’s appraisals, negotiating with the land acquisition office, and settling cases in court.